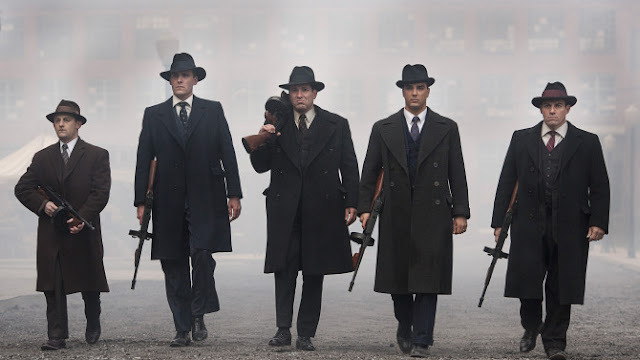 RETRO KIMMER'S BLOG: THE MAKING OF THE MOB NEW YORK 8 PART SERIES PREMIERES JUNE 15 ON AMC!! THE MAKING OF THE MOB NEW YORK 8 PART SERIES PREMIERES JUNE 15 ON AMC!! Great news! A new series that I can really get into begins this MONDAY on AMC....Check it out! “The Making of The Mob: New York” will premiere on Monday, June 15th at 10:00 p.m. ET/PT, and be narrated by Emmy Award-winning actor Ray Liotta. Kicking off “Mob Mondays,” the eight-part series begins in 1905 and spans over 50 years to trace the rise of Charles “Lucky” Luciano, Meyer Lansky, Benjamin “Bugsy” Siegel and other notorious gangsters from their beginnings as a neighborhood gang of teenagers to murderous entrepreneurs and bootleggers who organized the criminal underworld, turning the Mafia into an American institution. The premiere will air following a 25th Anniversary feature presentation of 1990s Oscar-winning film Goodfellas (Ray Liotta, Robert DeNiro, Joe Pesci) at 7:00 p.m. ET/PT. “The Making of The Mob: New York” is executive produced by Emmy Award-winning Stephen David Entertainment (“The World Wars,” “The Men Who Built America”). 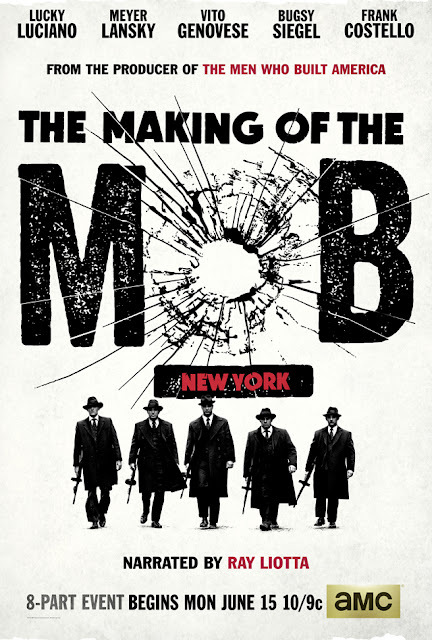 Utilizing an immersive blend of dramatic scenes, archival footage and groundbreaking VFX, “The Making of The Mob: New York” is AMC’s first ever docu-drama featuring exclusive interviews with notable names including former NYC Mayor Rudolph Giuliani, Meyer Lansky II, Chazz Palminteri, Drea de Matteo, Joe Mantegna, Frankie Valli, Mob attorney and former Las Vegas mayor Oscar Goodman and noted author and historian David Pietrusza, among many others. As part of AMC’s “Mob Mondays,” AMC will extend the Mafia theme by partnering each episode of “The Making of The Mob: New York” with a lead-in from their extensive library of iconic mobster films. Long the cornerstones of the popular annual “Mob Week” programming event on AMC, lead-in titles will include The Godfather, The Godfather Part II, Goodfellas, American Gangster, Donnie Brasco, Scarface, Casino and Carlito’s Way.